Fireworks colouring the nights and rows of night stalls can be said as the Japanese summer traditions. 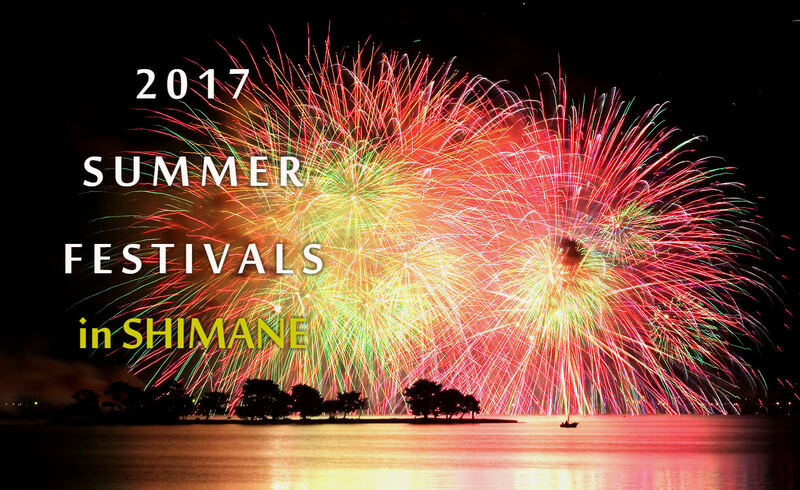 During July and August, summer festivals take place around the country. 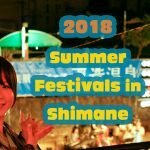 In Shimane, like other areas in Japan, many people get together to enjoy traditional Japanese-style dancing, singing, fireworks, and delicious festival foods. 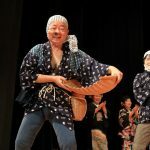 Some festivals are enjoyed mainly by locals, so they are recommended for those who like to join the locals and feel the traditional Japan in the countryside. ABOUT : Tamatsukuri Onsen Area is well known for its long history and highly qualified onsen water. During the summer, while lanterns illuminate the riverside, visitors can enjoy night stalls and various stage events every night. There are night kids stalls offering mini games that children will love to play! Stage events differ every day. 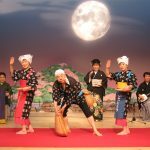 Two shows are shown every night – first show, starting at 8:15 pm featuring local artists, differs every day and second show, starting at 9 pm, showcases traditional performances (Yasugibushi or Izumo Kagura)!! 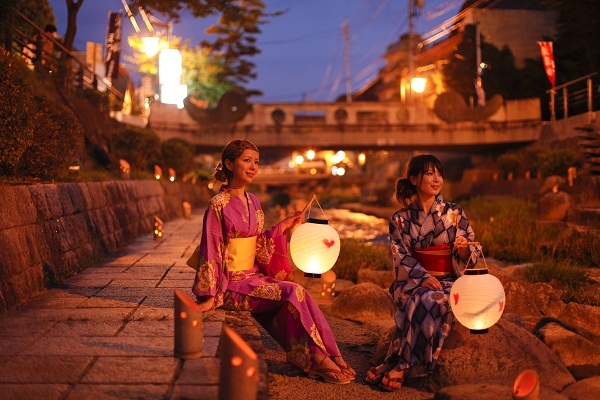 Please stay a night here, take a walk along the riverside and enjoy Japanese summer night festival! 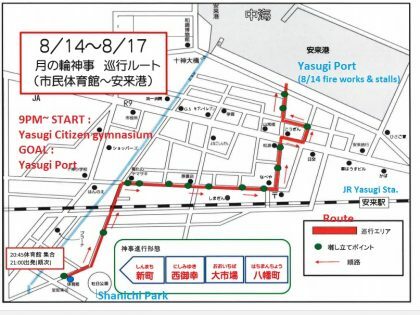 WHEN : July 20th (thurs) 2017 3:00 p.m. ~ 5:10 p.m.
July 27th (thurs) 2017 3:00 p.m. ~ 5:20 p.m.
ABOUT : The Sagimai Ritual in Tsuwano is a ritual that has been designated an Important Intangible Cultural Property with 400 years of history. 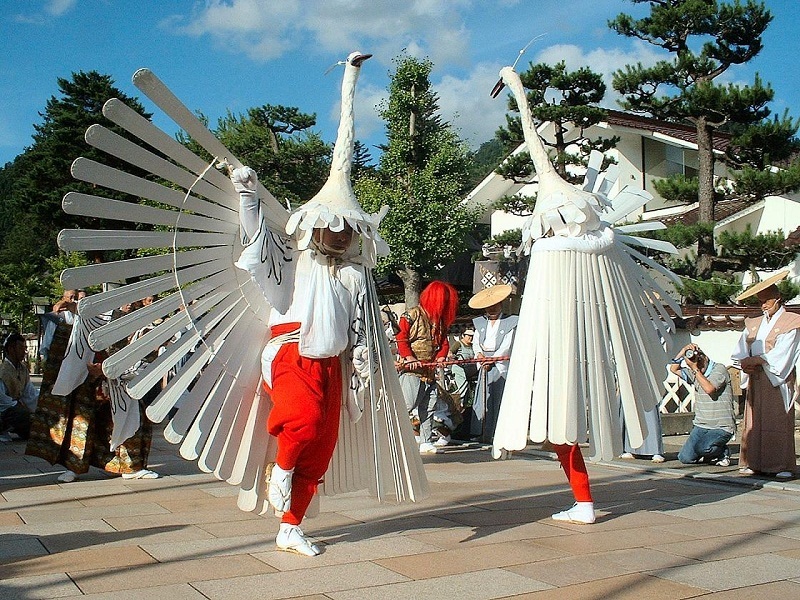 Wearing costumes that evoke herons, ritual dancers perform to music and drums at several spots around Tsuwano. Originating in Kyoto, Tsuwano is the only location in Japan where the Heron Dance has been continuously held for over 400 years. Performed every year on July 20th(during Yasaka Shrine’s Gion Matsuri) and 27th around Tsuwano town center and Yasaka Shrine. 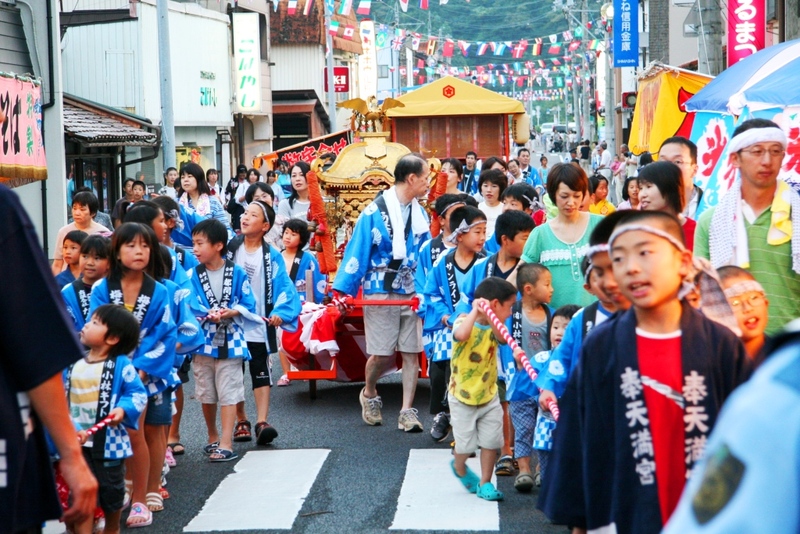 ABOUT : One of the three biggest festivals in Shimane, the Gion Matsuri takes place every year on July 21st. A Mikoshi (portable shrine) and Kanto (lantern pole with a lot of lanterns) parade through the town during the night. ABOUT : Boasting over two hundred years of history, the festival is host to street stalls that line the main street while Kagura (a traditional dance ritual) is performed. 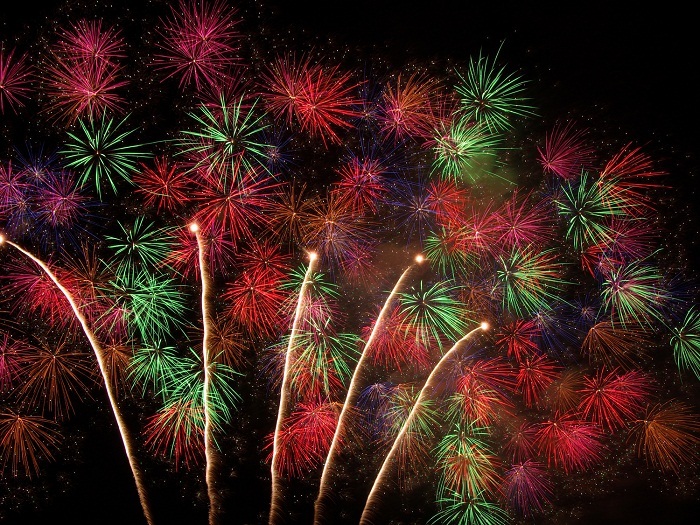 Visitors can enjoy about 2,000 fireworks from a distance of just 120m. Kagura starts at 8:30 p.m.
ABOUT : A lot of night stalls stand on the both sides of the main street that leads to Shirakata Tenmangu Shrine. Group of locals bring portable shrines called mikoshi through the main street accompanied by resounding drums and folk music with cheerful and powerful enthusiasm in the heated summer evening air. 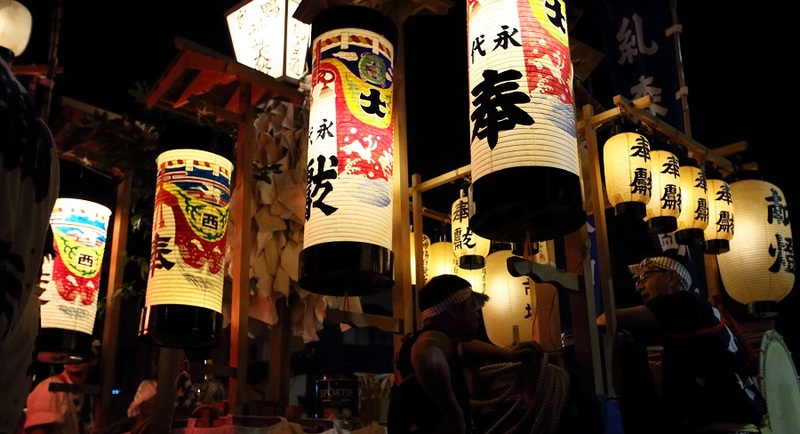 You can totally soak yourself up in and enjoy the mood of Japanese summer festival! ABOUT : This festival allows guests to experience fireworks and traditional drumming performances. ABOUT : This event takes place on a beautiful beach! 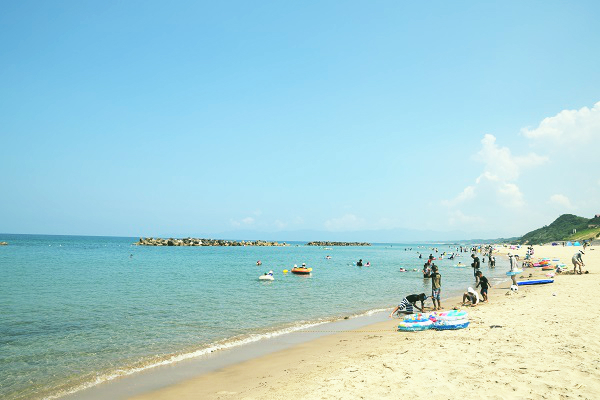 It is recommended to come here during the day while the sun is up and have fun at the beach swimming in the shining clear water or having a walk with a great ocean view. The sunset seen from the beach is a must see. 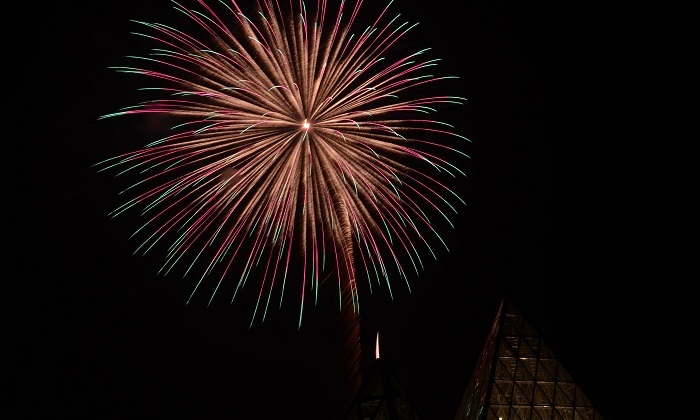 At night enjoy the fireworks and night events! 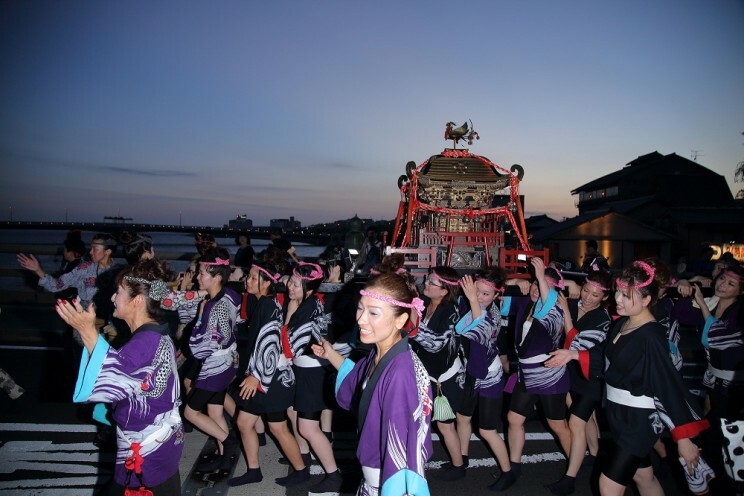 ABOUT : One of the biggest festivals in San-in, Matsue Suigo-sai Festival takes place for three days in Matsue this year. Incredible 10 thousand fireworks are to be set off above the Lake Shinji, which reflects the beautiful sparks of fireworks on its glossy surface. Matsue is known as the water city and The Lake Shinji represents it. *Due to the heavy amount of traffic expected, please use public transportation. If you plan on coming by car please park in the designated parking areas. 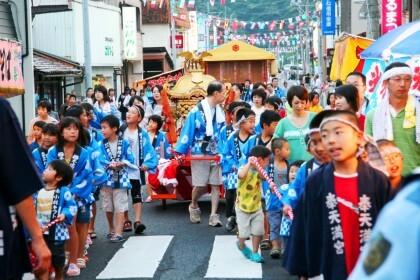 ABOUT : Tenryo-san festival takes place in 3 days at 3 different venues. 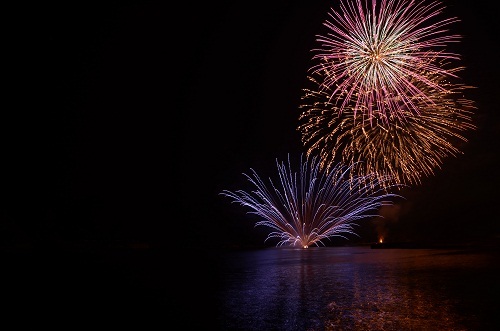 On August 4th, more than 5,000 beautiful fireworks are set off at Kute Port. 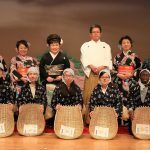 On August 6th, you can enjoy many local folk performance such as Tenryo Dancing, Tenryo Drams and Iwami Kagura etc. around JR Oda-shi Station. 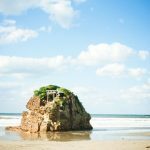 Lastly, on the 27th, people parade in traditional costumes along the historic town of Omori, in the Iwami Ginzan Silver Mine World Heritage Site! 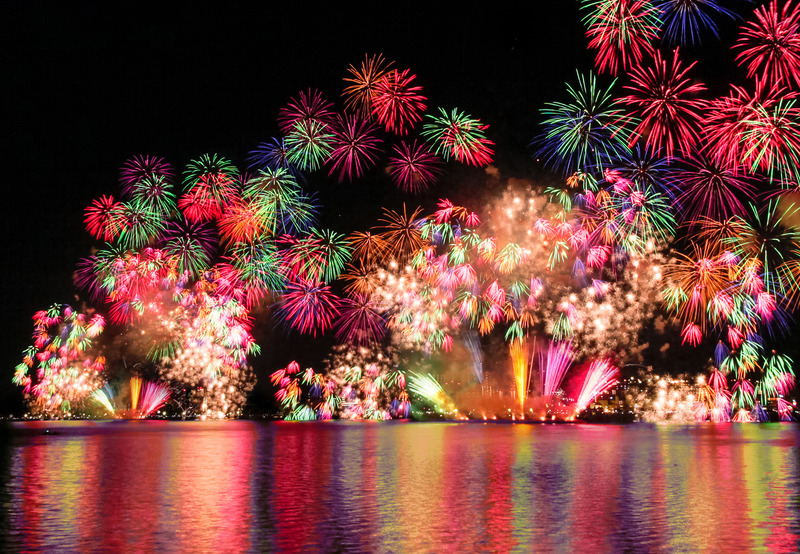 ABOUT : Fireworks are displayed over Japan Sea and you will enjoy the dynamic view of beautiful fireworks at close! Awe-taking Kagura performances, local food stalls are also something that you can really enjoy! ABOUT : This traditional festival has more than 400 years of history. Bamboo are beautifully decorated with wishing papers, as well as the unique amazing floats with lanterns are a must-see! WHEN : August 11th (fri) 2017 5:00 p.m. ~ 8:30 p.m.
ABOUT : This festival take places over 2 days. Izumo Bon Odori folk dancing on 11th and breathtaking 8,000 fireworks display at the Hiikawa riverbank on 12th . Hiikawa River is the setting of one of the Japanese myths, ‘Yamata-no-orochi’. There will also be many night stalls set up too.